The decisive advantage of the Bichsel system is that the termal energy can be directed, at a precise preset temperature curve, straight into the product. The constantly controlled flow of steam ensures more consistent and gentler heating. The geometry of CEREX pressure vessels was engineered carefully. CEREX cookers are therefore optimised to create mixing effects without damaging the product. The cooker can also be filled to a higher level, without this leading to irregular quality. The space above the product being processed can be separately ventilated while steam injection takes place. Conventional cooking systems come with some issues. 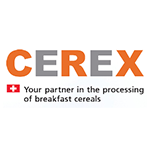 To compare the advantages of CEREX cooking systems with conventional cooking systems, you may want to see the section about the conventional cooking process.